The Cookie Guy cookies are among the best you will ever eat! With over 30 years of baking experience our expert bakers redefine classic cookies and develop scrumptous new ones to suit modern tastes. You may enjoy the sandy-crisp texture of our Classic Snickerdoodle while others may prefer the creative twist of our Sweet Indian Chai cookie. 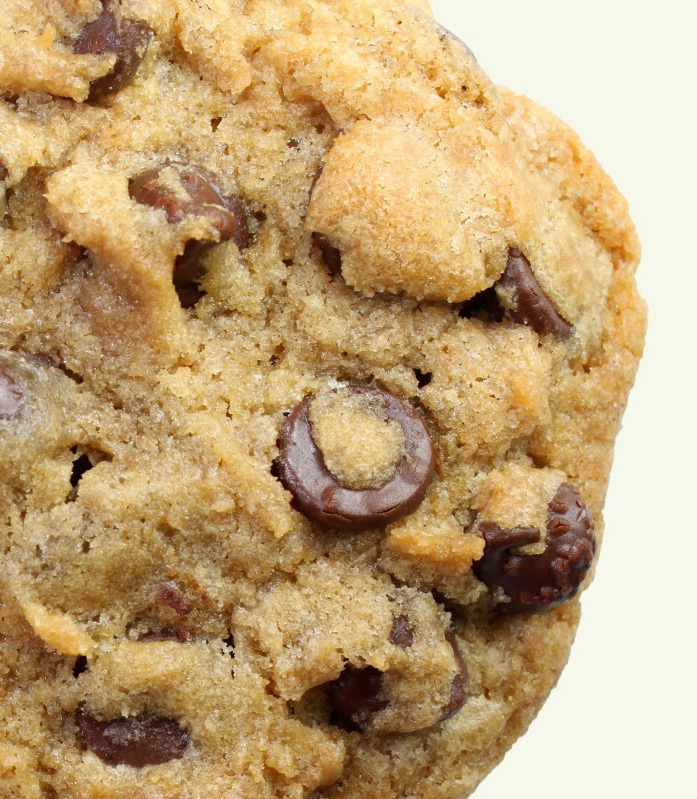 Using only the finest ingredients, we bake, then package and deliver, premium-quality cookies throughout Wichita, and surrounding cities, each day. Nothing puts a smile on your face quite like our chef coat clad professional staff delivering beautifully packaged gourmet cookies right to your door! Place an order for yourself or send them as a gift. "Hands down, these are the best cookies I have ever eaten!" The Cookie Guy specializes in professionally delivering and presenting fresh-baked, still warm from the oven, gourmet artisan cookies. These are not common bake sale versions of back-of-the-bag recipes! You've never had them this good! Cookies filled with warm chocolate chips at your next company meeting. Smiles on your clients faces when they receive a special delivery of our Caramel Apple Pie cookies from you! Increased sales from those remembering you sent gourmet artisan cookies where others just left a pen or coffee mug. Amazed dinner guests as they enjoy our fresh baked treats at your next party. Gourmet artisan cookies are the perfect way to reward employees, thank customers, creatively develop new business or to simply indulge your sweet tooth. Place orders from our "Request A Delivery" page or by telephone between 8:00am and 5:00pm Monday through Friday. Specific delivery times or weekend deliveries may be arranged where baking and delivery schedules permit. Planning an event? Send us the details in an ﻿email. Our sales staff will contact you to discuss your order. To coordinate production and delivery we request at least 24-hours notice. Orders of 200+ may require greater lead times.